Enjoy the music of Dire Straits from this band featuring original members. 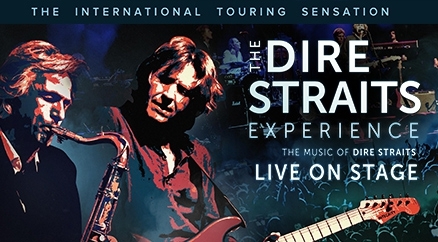 Featuring original saxophonist Chris White and drummer Chris Whitten plus acclaimed musicians who have played with some of the best acts in the world, the Dire Straits Experience is a great tribute act. This concert which features a spectacular light show is one of their biggest shows ever.